Wine cooler from Michael Kungl's Bistro du Pont collection. A Santa Barbara Ceramics item, the bistro du pont ceramic wine cooler measure 7 7/8" x 4 3/4" dia. 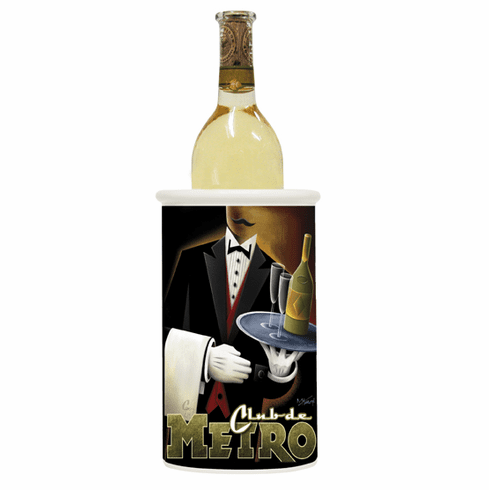 Wine cooler carries the Club Metro design.